How to Retrieve Lost Videos/Photos from Sony SxS memory card? What is SxS Memory Card? SxS (S-by-S) is a flash memory standard compliant to the Sony and SanDisk-created ExpressCard standard. According to Sandisk and Sony, the cards have transfer rates of 800 Mbit/s and burst transfer rate of up to 2.5 Gbit/s. Sony uses these cards as the storage medium for their XDCAM EX line of professional video cameras. SxS card can be inserted directly into an ExpressCard slot, available on many notebooks. However, it will only work in Windows and Mac OS X, and only with a Sony device drive installed on the machine. The only universal connectivity for SxS card is the Sony SBAC-US10 external USB adapter, which makes the cards visible to any system as an external USB hard drive. 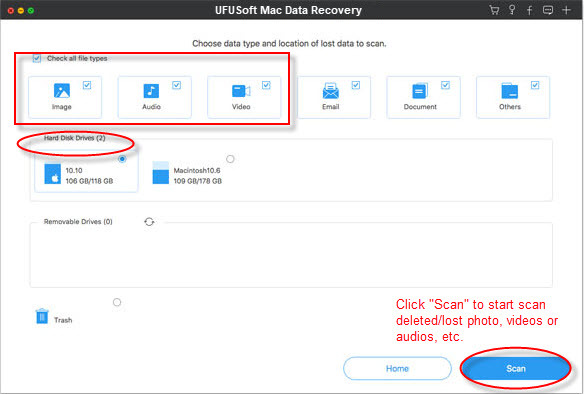 UFUSoft Sony SxS memory card Photo Recovery is must-have application if you lost important media files from Sony SxS memory card. XDCAM EX camcorders record movie to Sony SxS solid-state ExpressCard/34 media. If your precious video files missing due to deletion, lost, or formatting, turn to SxS card Recovery for help. 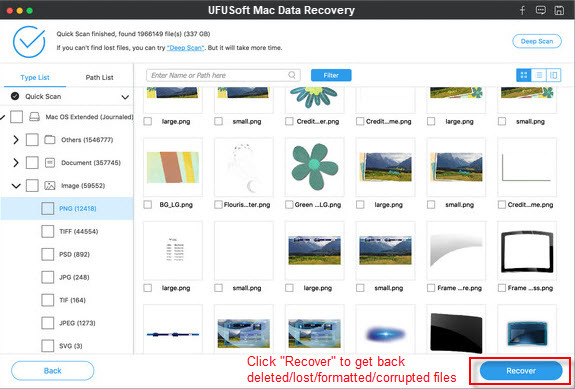 Free to try UFUSoft Photo Recovery for Windows or Mac OS X. SxS Card Recoverysupports files retrieval from Sony NEXFS100, NEXFS700, PMW-F3, PMW-EX3, Sony EX1, PMW-350, etc. Step by step to retrieve lost video files from Sony SxS memory card. Connect your Sony SxS memory card to the Mac through proper adapters or the device directly. Then run the program and go to“Lost File Recovery” to begin the Sony SxS memory card work. If you don’t want to recover all the content from the Sony SxS memory card, you can set the file type by clicking “Select File Kind”/“Filter Option”. Then choose photo, audio or video from the “File Type”, and even the specific file formats, if you have a requirement. Then continue the work via “Scan”. After the complete scan, all the files found back are well listed in the scan result panel. Check the folders of audio, video and photo on the left, and then hit “Recover” to get them all back. Remember to save them on your Mac or other storage devices, but not the same Sony SxS memory card from which you lost them before due to safety of the file. Note: As to photos, you can preview them before you execute the Sony SxS memory card recovery. During the preview, you can check the quality of them and decide which one to recover.